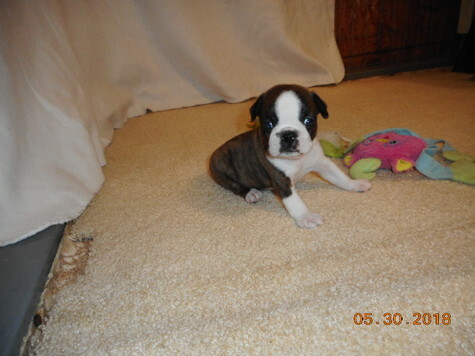 I have a male Boston Terrier puppy that will be ready for his new home on June 21st. He is CKC Registered. Parents on site. Taking deposits now to hold.